Gosh it feels like ages since I posted about my own sewing! It's been such a busy September - so many new classes to kick off and lots of lovely sewing for everyone to enjoy! It does mean that my sewing takes a second seat for a few weeks, but that doesn't mean that I'm not making behind the scenes! My little snatched hours or minutes of sewing each day is what keeps me on an even keel. I need to sew everyday otherwise it just doesn't feel quite...right? Do you know what I mean? I have had a few big projects that I have been working on behind the scenes over the last few months. My Swoon was made alongside the ladies at The Wendover Sewing Bee through the spring and summer this year. Swoon is a great, super-sized project. 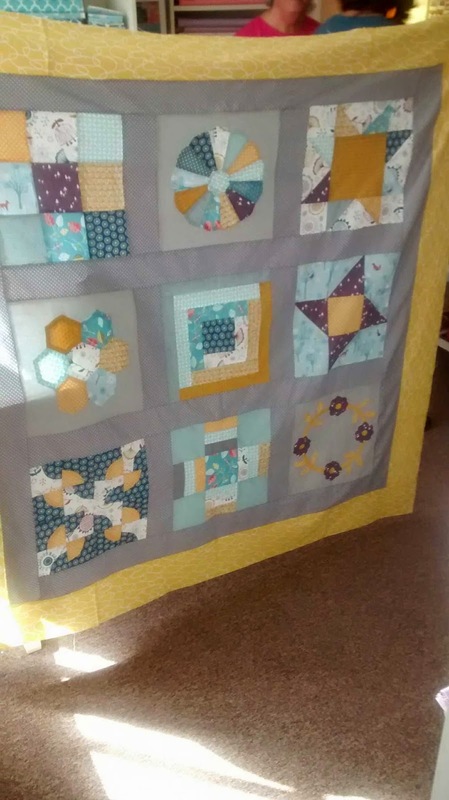 I've wanted to make this quilt for ages and ages so doing it as a quilt-along with my group was a great way to give me in impetus to get on with it. Swoon is a great project - it's super efficient fabric cutting and piecing method but it is a big project and at times I did wonder if I would love it as I was making it. I usually gravitate towards scrappy projects that use lots and lots of fabrics. Swoon uses a limited palette and so each fabric choice feels a bigger deal. There were a few blocks I didn't love as much as the others. However, determined to make a big bed sized quilt I pushed on and decided to take advantage of Long Arm Jenny's super rate for Swoon and get it long arm quilted. I choose a big petalled flower design and I just love love love it! There's been a long few evenings binding around a 90 inch square quilt but it's now on my bed snug and cosy and ready for the weather to get chilly! 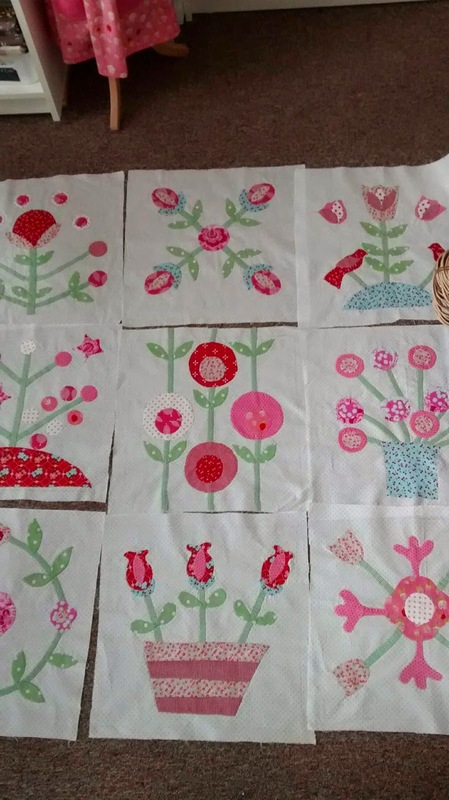 I must be getting ready for autumn, as the process of making my Swoon prompted me to dig out a project that I pieced many years ago when my little girl was a baby. 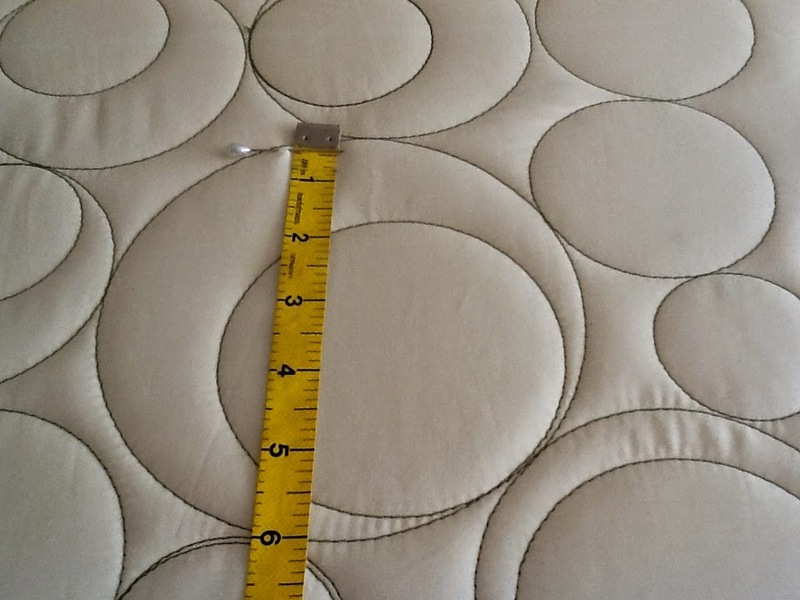 This quilt is from a pattern called Single Girl by Denyse Schmidt and is a modern interpretation of a classic old pattern the Double Wedding Ring, Each circle is made up of individually shaped segments that come together to make the squared circle, unlike a double wedding rink these circles don't interlock. I made this quilt using treasured Liberty fabrics that I had collected over many years before the top was made. I think this quilt has been 10 years in the making from fabric collection to final quilting! The quilt top languished in a wicker basket for about 5 years from being pieced. 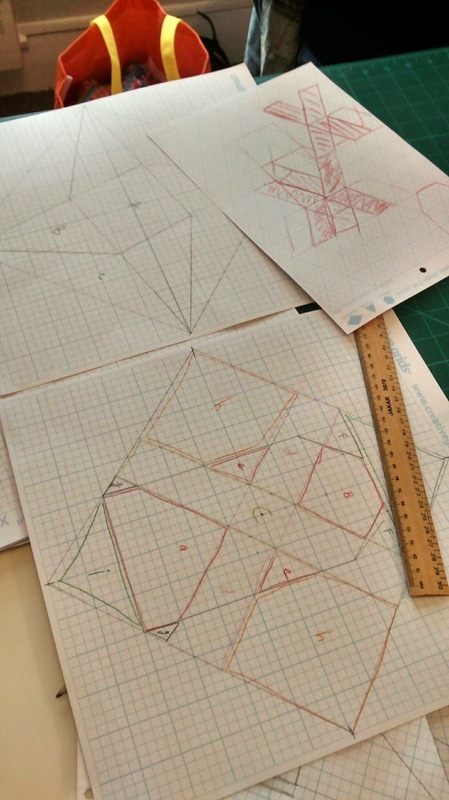 I spent a year or two procrastinating about how to hand quilt it. I drew on a design then changed my mind and drew on another. I was starting to loose confidence about how to finish it. It has huge expanses of plain fabric and it scared me then about how to quilt it. It was so precious - all those Liberty scraps - that I reached a halt and it went away into the basket and I didn't really think much about it in the intervening years. I usually always finish my quilts - I have only 5 unfinished bits of work, and usually they are just paused not stopped! I decided to finish it. I made a back using this wonderful springed floral extra wide backing that we have in The Workroom at the moment. I decided to get it machine quilted - to just get it finished at last! However when it came to getting it quilted the curse of the singe wedding ring procrastination struck again and I just couldn't find the perfect pattern that I had in my mind. Poor Jenny - I must have discussed every possible pattern in her enormous repertoire!! In the end Jenny suggested the perfect pattern - lovely modern 'bubbles' which make the most delicious texture on my lovely quilt. I picked it up yesterday and I just couldn't be happier with it! Now an even bigger binding job - this quilt is 108'' by 108'' - good job there's some good evening weekend TV in the autumn! Jenny now has this pattern available to choose so if you think it would be perfect for your quilt top too do request it! 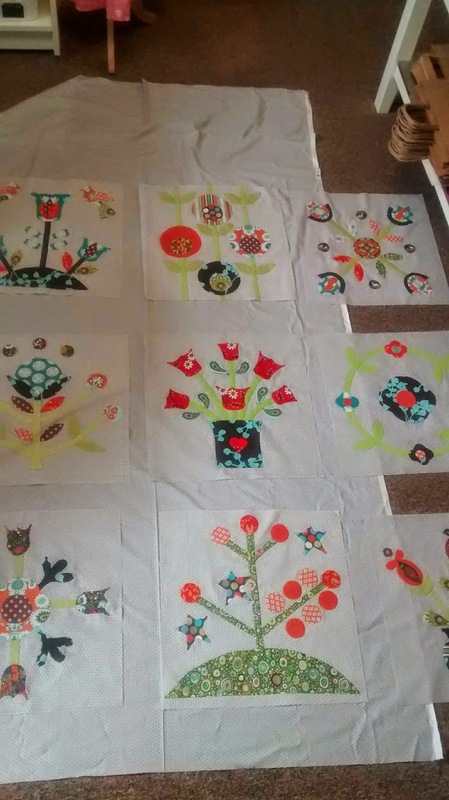 I'm also working slowly towards the completion of my Arundelle Quilt Top - I'm so excited about this quilt and I plan to hand quilt it between now and Xmas so it's ready to hang in my hallway at Christmas - delicious thought x I'll share some proper pictures when it's finished and talk about my design. I 've so enjoyed designing and making my own pattern again, it's been a little while since I felt the urge to design a whole quilt. Lastly - I just couldn't resist the new Denyse Schmidt Hadley fabric that came in to the Workroom. I've dug out lots more Denyse from my extensive stash(!) and am just starting to cut out for a flying geese quilt. I've made lost of individual flying geese for quilts in the past but have never made a complete flying geese quilt. Autumn is the perfect time to work on one don't you think? It maybe my Retreat Day project I think - even more delicious thought! Lastly my hand sewing project of choice at the moment is the last push on my StarFlowers Summer EPP. I'm filling in the edges which is laborious but I'm almost done. I do feel that I have to get this made before the weather changes! Obviously I have autumn/winter EPP plans waiting in the wings for the cold weather!! Phew! I do have quite a lot on after all don't I? And that's not even the list of potentials quilts that I have ruminating in my mind and little piles of fabric are starting to form towards them - that'll be another post another day! What are you working in this Oct? 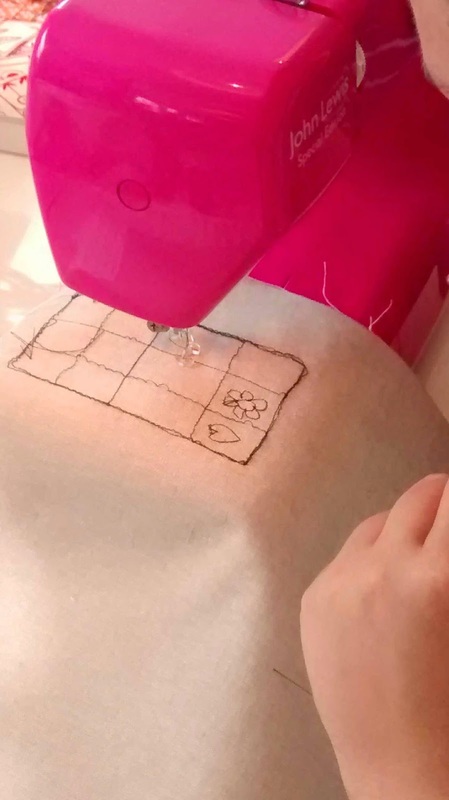 We had such a fantastic day on Saturday at our first class of Miss Stitch's Sewing Academy as 6 very enthusiastic little girls arrived keen as mustard to start sewing. They first each chose their own special sewing kit. This was very serious stuff. 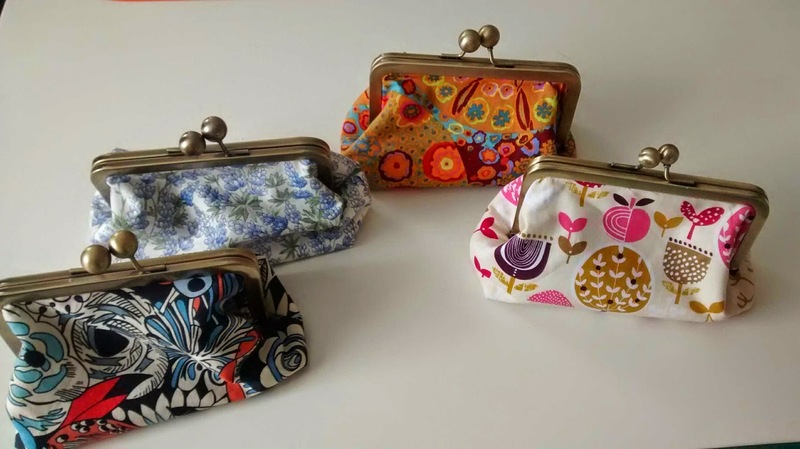 Each little sewing pouch had a patterned inner and outer, so first there was careful consideration of which one had the most perfect colour combo for each small discerning eye. Then there was the matter of the fruity pin cushion, did they want an apple, a peach or a pear? Much umming and ahhing before everyone had the perfect personalised pouch! Miss Stitch ( the lovely Victoria) lead them in two hours of skills building; pattern cutting, scissor skills, choosing colours and fabrics, hand sewing, gathering, button sewing, then machine sewing. Except they knew nothing about the skills building - happening imperceptibly- as they enjoyed a fun 2 hours of creative, mind expanding making. In a world where we expect ever more of our kids, ever younger - there is a very old fashioned charm about letting kids play for two hours, play with fabric, texture, colour and embellishment. Yes they learnt a lot - but did it feel like learning? I don't think it did. It just felt like life affirming, super creative, fun. By the end of this Miss Stitch year they will be equipped with a whole host of amazing skills that will let them approach sewing and making without trepidation in the future - but they'll feel like they had a fab year of making pretty things. We'll feel that our work is done! A life choc full of sewing! I've been a bit absent from the blog for a week or so as we've just had the most fabulous whirl of new classes and exciting events coming tumbling after each other for a few weeks. I can't even count up how many new faces and lovely returning faces I've seen smiling back at me, and how many truly gorgeous fabric choices I have witnessed going skipping out of The Workroom in our brown paper bags -oh the anticipation of a new sewing project! The weather has turned just a little bit more autumnal ( although still gloriously settled- it's been a fantastic Sept here) and my autumn sewing sewjo ( mojo?) is back with a vengeance. It's no surprise as we have taken delivery of so many lovely new fabrics and I have been trying so hard to resist their siren call but it was no good when we unwrapped the new Denyse Schmidt fabrics this week. A lovely pile of fabrics are now awaiting me on my desk waiting for a quiet moment! 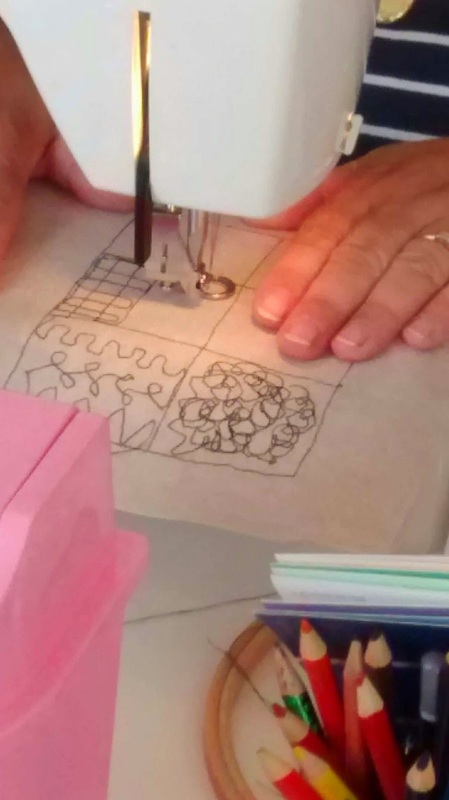 Over the last few weeks we have have kicked off new classes with over 50 eager people, all keen to start sewing, looking forward to a new project for the winter. From hand sewn patchwork to machine embroidery, cushion making and purses and bags. 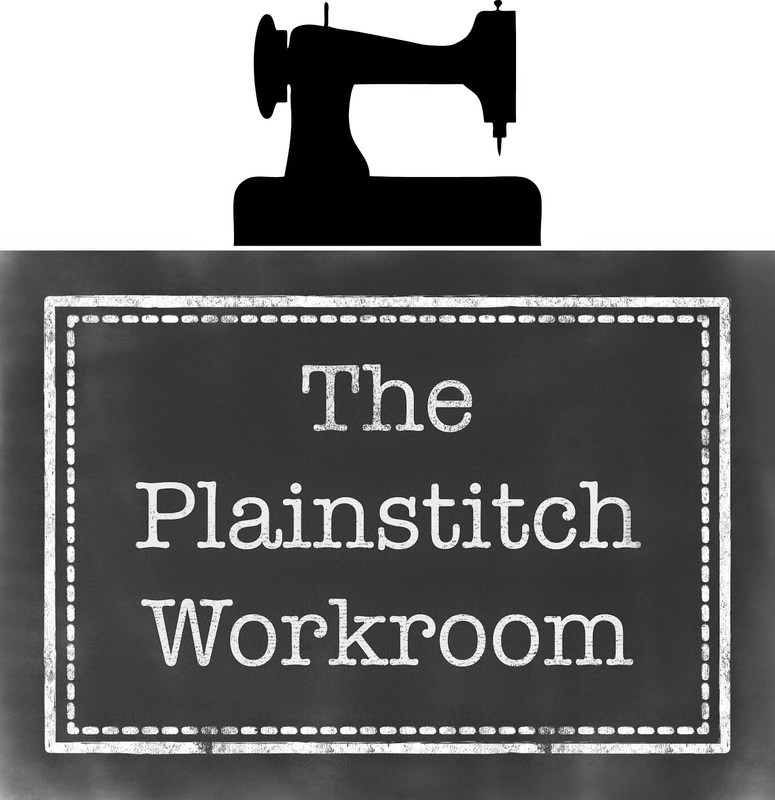 Tomorrow we welcome a full house little sewing people to the workroom to start their sewing journey with Miss Stitch - so exciting! 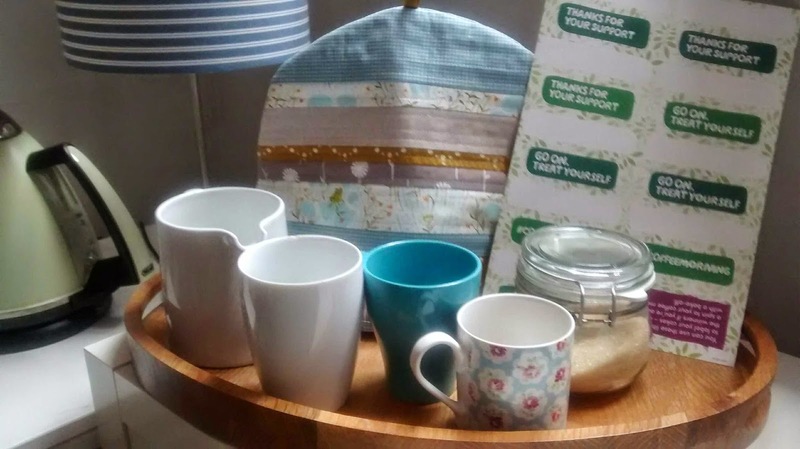 We rounded out the week today with a lovely open house charity coffee morning at The Workroom for Macmillan Worlds Greatest Coffee Morning. A huge thankyou to all the lovely people - existing customers and new visitors - who dropped in and enjoyed a cuppa and some lovely cake. A second big thank you to those who kindly baked for us - so delicious! We raised almost £150 in two hours so thank you all for your generosity and support for this worthy cause. 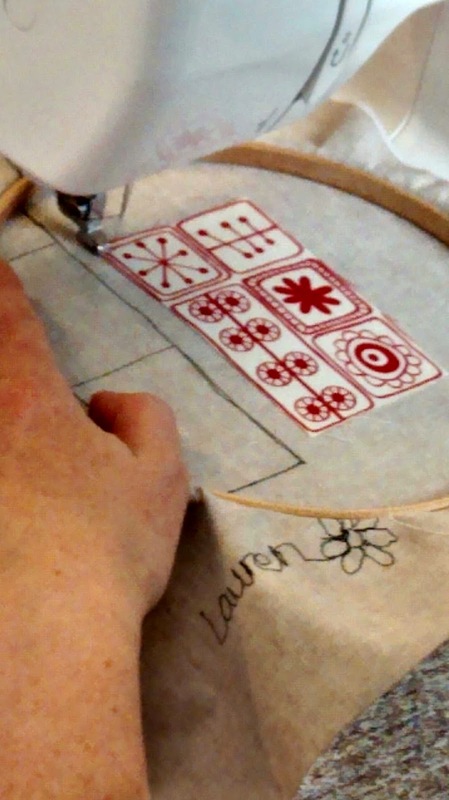 My favourite, favourite class to teach at PlainStitch is Simple Sampler. Each term I get to encourage and initiate a whole new graduate entry of patchworkers into our wonderful world of fabric and texture. Every term I feel very lucky to have such a wonderful job! Simple Sampler is a little bit special and magical. Every term curiously, but with slight trepidation, a new class begins. I LOVE to talk about quilt making, I love to impress on my new students just what deep roots this craft has. In a throwaway world where we're supposed to consume our lives in smaller and smaller more distracted, bite sized chunks delivered by screens in front of us every second of the day, I love to reveal another world. A world where sitting, and sewing, is actually soul food. Where slow sewing is enjoyed, revelled in, such a treat. Where after half an hour of stolen sewing time you feel fuller, more alive, rather than a little bit dazed and drained after 30mins online. Even craft can feel a bit fast forward these days. Kits stuck on the front of magazines to make in 5 mins flat, new this and new that, make a quilt in a day, a dress in an evening. 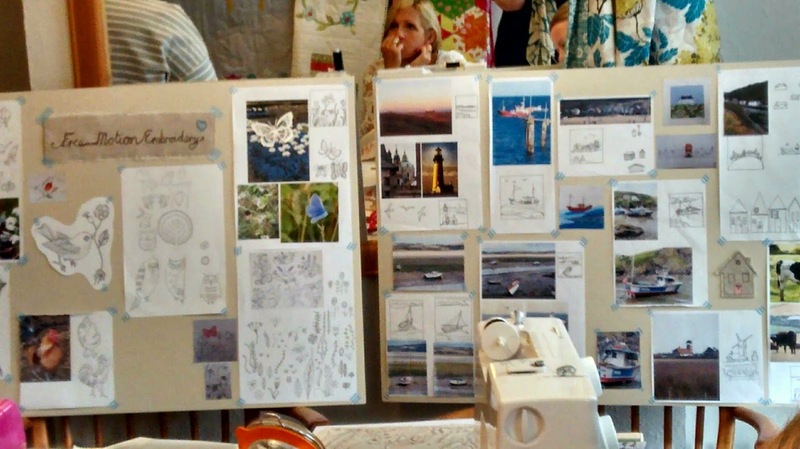 It's so interesting that Slow Sewing is starting to be talked about in the sewing community. I've always been an advocate of it. I don't want to make a quilt in a day. I want to enjoy the process, I want to feel like i've earnt the feeling of pride that completion of a project brings. I don't want to just move on to the next thing. Simple Sampler is about Slow Sewing. It's a hand made quilt. It's traditional. It uses block patterns whose origins are lost in the mists of quilt history. We choose lovely modern fabrics. Who can't fail to be beguiled by the latest lovely fabrics, a small indulgence in a demanding life. But we sew by hand. 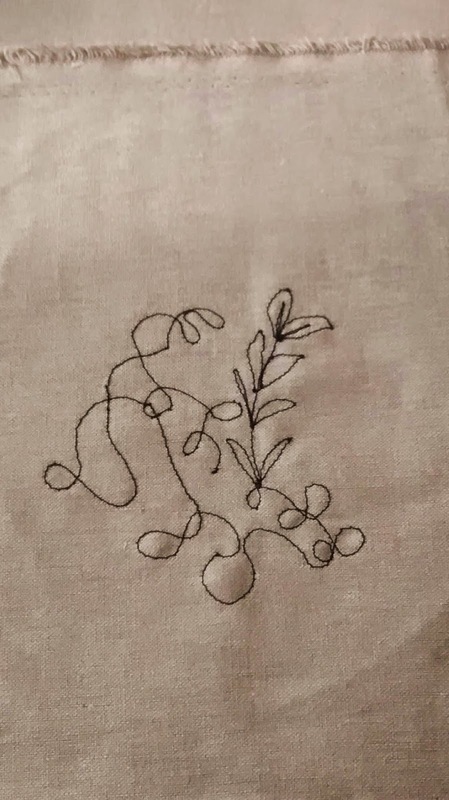 We look at the work as we make it - mindful, lost in the simple repetition of a running stitch. It's not rocket science but it holds powerful secrets to well being. It's not an accident that our graduates are evangelical about their sewing. It makes you feel much better about...well everything! Our Simple Sampler classes always sell out, so do let us know early if you'd like to join us next term. If you feel like you'd like to step off the merry go round for a few hours every week or so, come and sew! 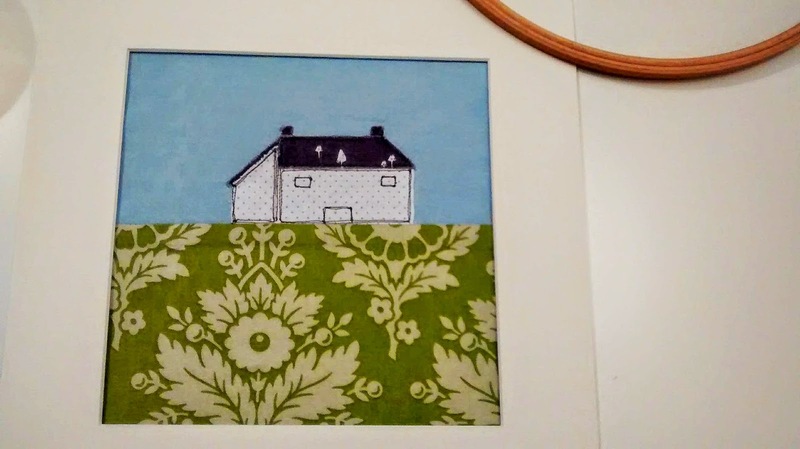 Our next Wendover Sewing Bee is given over to a celebration of the Simple Sampler. Everyone is welcome, graduates of the class, current students and interested visitors. Come along and see a gathering of students past and present with their Simple Sampler Quilts and their current work. There will be cake and tea and lots of fabricy chat, it should be a lovely gathering - 7th Oct 9.30am - 12pm at St Anne's Hall, Aylesbury Road, Wendover. Do pop in, you'll be very welcome! We have some great, super practical classes rolling out in November and early Dec to allow you to get ahead on your Christmas making, or whip up some really useful and lovely household items that will have you basking in a saintly homemade glow on the run up to Christmas. We have some lovely Christmas fabrics in The Workroom at the moment - those elves and Christmas puddings are flying out the door do don't get left with an empty stocking! 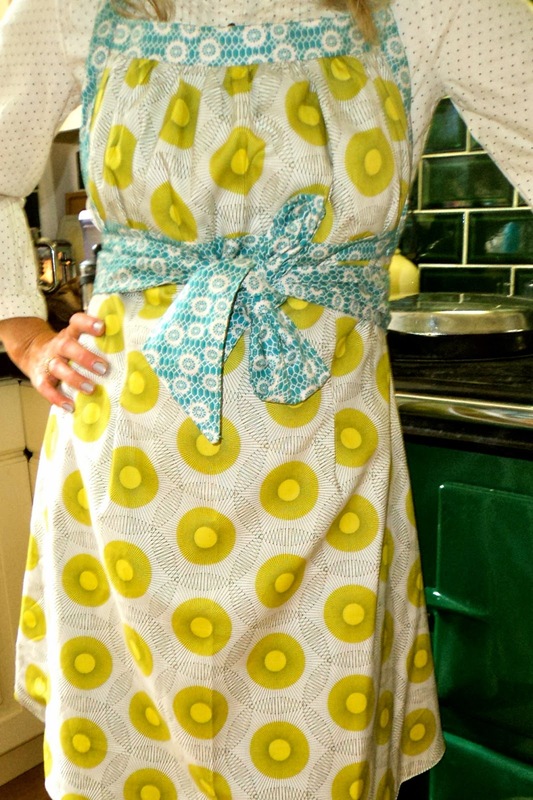 We're kicking off with a purely indulgent class to make this totally fabulous 1950's Retro Pinny. Why not treat yourself before all the frazzle of Christmas is upon us? We're pretty sure that wearing this pinny can transform even the most chaotic harried Christmas Chef into a poised 1950's super housewife in the kitchen! Prawn Cocktail and a Sweet Sherry anyone? This class is the perfect pressie preparation. 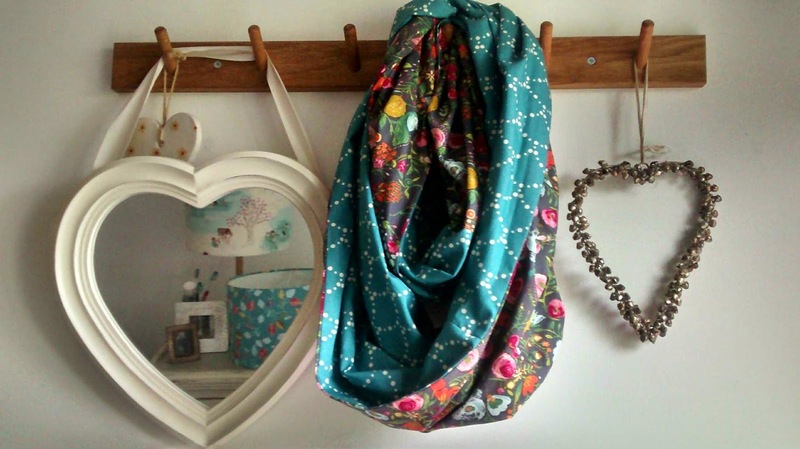 Learn how to make a hand finished infinity style snood scarf from your favourite fabrics. These scarves come together quickly and make fabulous presents for female family members and friends as they can be perfectly customised for the wearer. They're also super snug which will be perfect for your evening plans on November 5th - this class is 10am - 12pm on the 5th Nov. £25.00. Ooh this little project is such fun. Take a boring but super practical mini ironing board and transform it! These little boards are loved by sewing people but also are great for students, utility rooms, and anyone who is allergic to wrestling with their big ironing board! 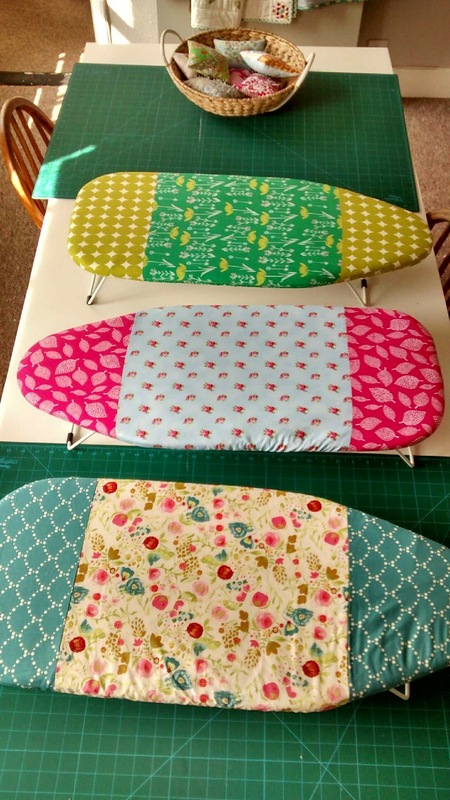 It's a quick and fun project and we're looking forward to super individual ironing boards tailored for their recipients - we have some lovely man-fabric in stock at the moment if anyone wants to gift the man in their life?! he he. In this workshop you will learn how to produce this lovely three dimensional block using a mix of hand and sewing machine work. Using origami-like folding, manipulating and stitching squares of plain fabric and inserting pieces of patterned fabric you will explore the beautiful hand patchwork technique of cathedral windows. This classic block looks complicated but is deceptively simple once you understand the technique. 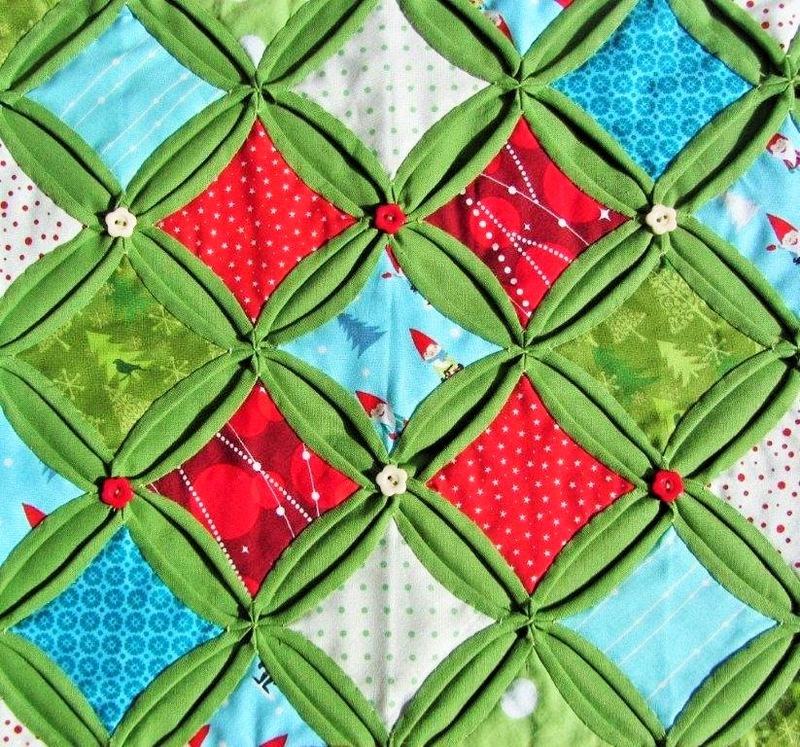 You will create cathedral window block that you will be able to extend to make a table runner or cushion. This technique can be used to make really lovely Christmas decorations for your home. This class is taught by Claire Wheeler. 13th Nov, 27th Nov, 4th Dec. This is such a lovely project. It's one of those makes that you always think you'd like to get round to but don't - so make this the year before those kids or Grandchildren get too big to enjoy a rummage in these inviting advent pockets! This is a real heirloom piece, there is something so special about bringing a handmade piece like this out year after year. Learn how to make a fabric covered lampshade. No sewing required, just fast fun fabric indulgence. These shades are great presents, kids love a customised lampshade in their favourite theme and grown ups too! This a totally relaxing feel good class. Make a modern or traditional indoor Christmas Wreath to match your decor. Felty balls, shiny ribbons and christmassy fabric...........what's not to like? Come and join us and stock up on some zen before Dec kicks in! These are one of those presents that always delight. Learn how to make these lovely hot water bottle covers. Make a personalised version for all the special people in your life who you want to tuck up warm and cosy on those winter nights. 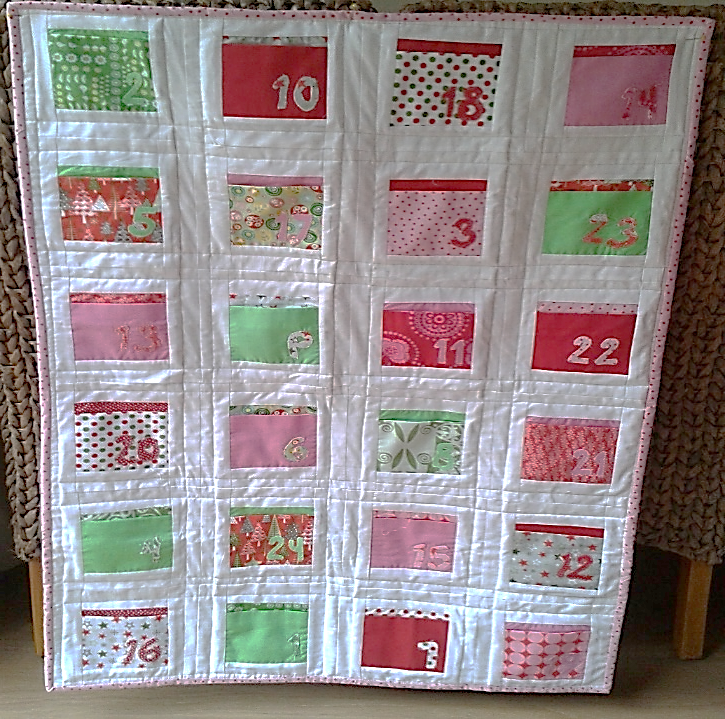 Practise your machine quilting and binding and enjoy this fun little seasonal make. 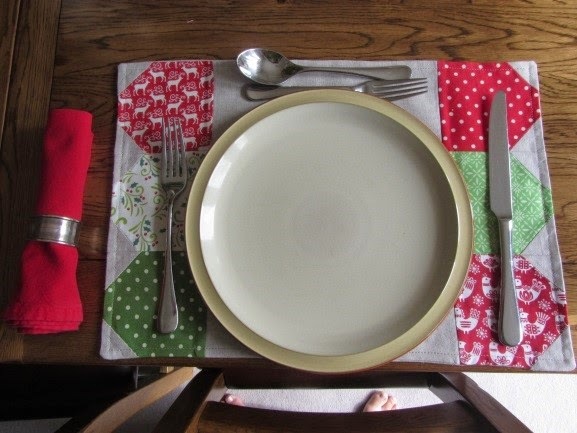 Gorgeous linen table placemats for your seasonal table. These mats use a modern version of the classic snowball block to make stylish classy mats in linen that will wash and wear better and better with age. Another make that you will thank yourself for for years to come. 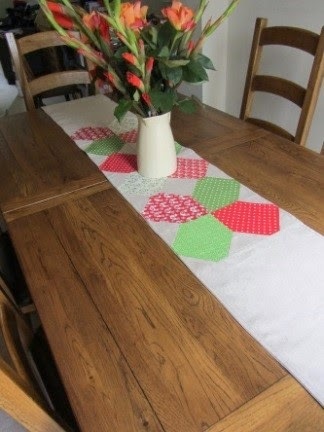 Gorgeous linen table runner for your seasonal table which looks great as a decoration or is super practical for serving up your Christmas dinner. Another make that you will thank yourself for for years to come.